Some days ago, it was reported that a 17-year-old girl, Blessing Udoye (who will turn 18 in September) got married to an older man, Okechuckwu Tochukwu Emmanuel without the knowledge and consent of the family in Imo State. According to reports, the wedding which was planned for almost six months – was hidden from the girl’s family member because that is the principle of her church (Fishers of Men Charismatic church). 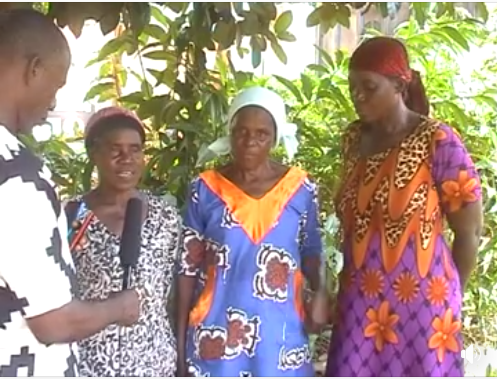 Now the church has issued a press release with video evidences to support their claim as an interview was conducted with the girl’s mother, Mrs. Augustina Udoye and her relatives. The new husband who claims he is 33-years-old in an interview said the marriage is a divine one and he married his lovely wife legally but the marriage has sparked outrage because of her small body. 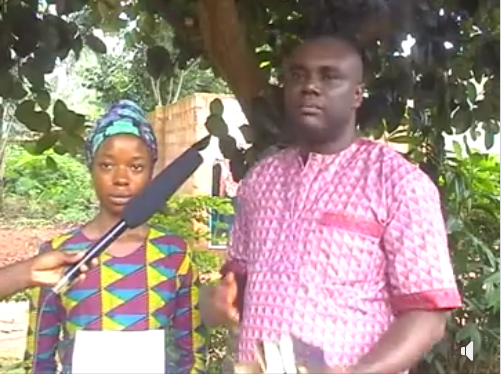 Our attention as a ministry has been drawn to an allegation by one Raphael Uduoye also known as De raph man, who alleged that Fishers of Men Charismatic Church Isiokpo branch in Imo state conducted the wedding of his younger sister without the consent of the family. It was said that Blessing Uduoye was kidnapped and hypnotized against her will. • Blessing Uduoye was there to speak with us amidst smiles and laughter; according to her, she is 18 years old and that’s the information she presented to her pastor. • The entire family members except Raphael Uduoye who was referred to as dissident were in the traditional marriage and church wedding. Pictorial confirmation to this scenario is available below this article. • The father was traced to his business place and he gave a full analysis of his consent to the union. Visual evidence of the conversation between the father and the investigator was captured with a phone recorded video because the correspondent had to hide their camera because of the thugs Raphael Uduoye organized against the investigators. 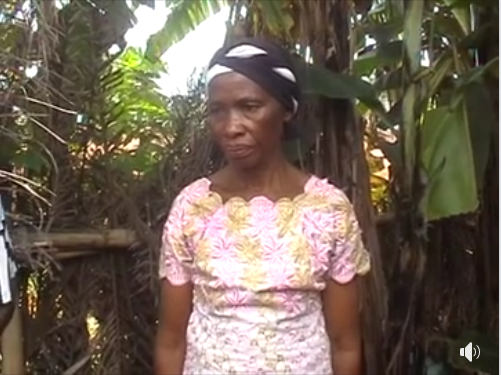 The audio version of this engagement is also available although spoken in ibo language. • The team of investigators also visited the family house of Blessing Uduoye, the mother was interviewed; according to her, “I have prayed for my daughter to have a blissful matrimonial experience”. To consolidate her acceptance, she further prayed for her daughter. In addition, our camera lenses captured the relics of the food and drinks that were consumed during the traditional marriage in her father’s compound. The visual evidence is also available. • The man who married the said Blessing Uduoye was also interviewed, he confirmed that he is 33years old and presented the marriage registry certificate produced in Ika south local government council of delta state. • One Samuel defiled the torrential rain during the interview and told us that he was the interpreter during the traditional marriage and church wedding. He however declared that the man who put forward this allegation should go and settle the difference amongst themselves in the family. Persons who witnessed the wedding including the chief of the clan also said they were part of the traditional marriage. • That the pastor instructed Blessing Uduoye not to tell her parents as a doctrine of the church is a mis-information. We have nothing against Rapheal Uduoye and his family as we preach love and tolerance. However, we expected him to have channeled his grievance to the appropriate quarter instead of engaging in character defamation. • The groom is a member of Immeasurable grace mission Inc, Agbor in Delta state; he is from obodo-ukwu in the same local government as the bride. The pastor of the groom wrote a letter to the pastor of Fishers of men charismatic church isiokpo, confirming that the groom is eligible to marry and he has fulfilled all the wedding requirement according to their church system. The letter written by Pastor Gideon Ijeh is attached to this article (visual). Lastly, from our sources, some pictures were taken by the contracted photographer during the traditional marriage, especially when the father of the bride pronounced blessings on the couple, but attempts to locate the photo studio was thwarted by Ralph and his gangs. For many on social media who have reached out to us, we appreciate your love, concern and support. We have now given our own version of what really happened, take the word out and let the world know what really transpired. The church is marching on and the gates of hell shall not prevail against her. 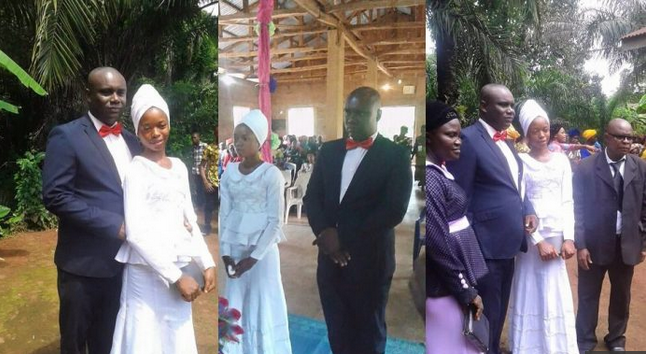 0 Response to "‘This Marriage Is Divine’; Man Who Married 17-Year-Old Bride In Imo Reacts (Photos)"